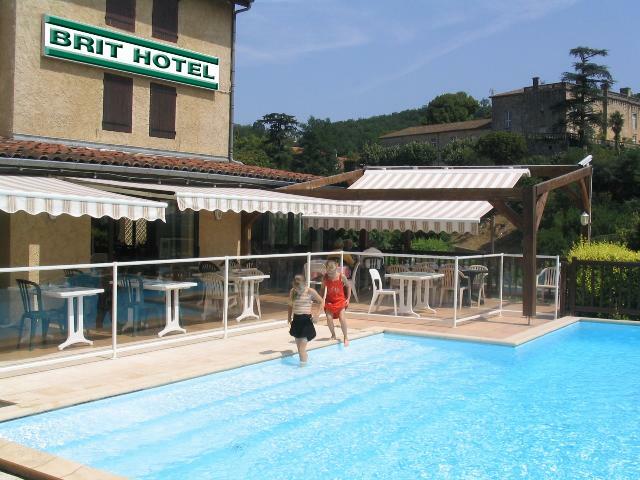 Our hotel, located on an exceptional site, offers you the view of the Lot Valley. 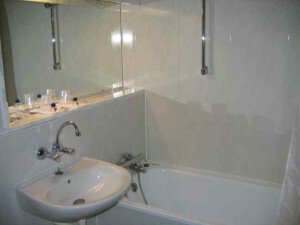 Well-equipped rooms with full bathroom; bath / shower, sink and toilet. In addition a fixed hair dryer available. Direct telephone and satellite television. Free WIFI access from all rooms. Our rooms are all individually air-conditioned. All rooms and common areas are strictly non-smoking. Don’t get burned, smoke outside !! Several types of rooms exist – located on the ground floor (two rooms), first floor (15 rooms) and second floor (15 rooms). 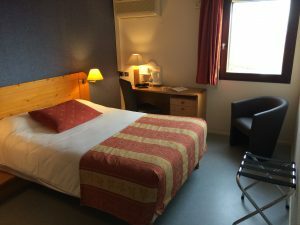 Room with a double bed – 1 or 2 persons. Rooms with a two single beds for 1 or 2 persons. 4 rooms on the first and second floor have a third bed. 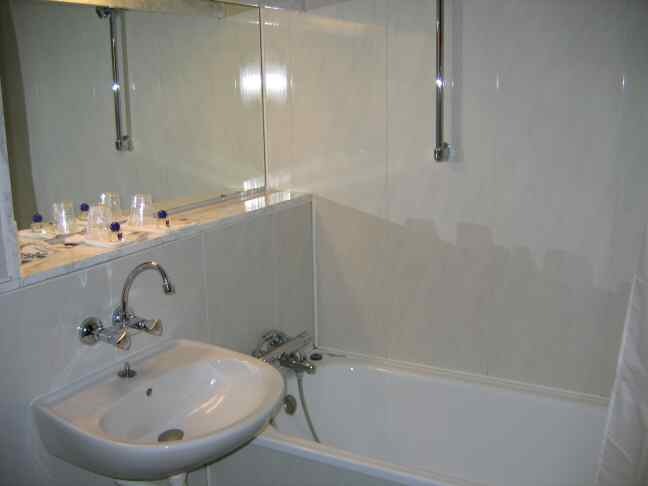 these rooms are called ‘triples’ and offer accommodation for three persons maximum. There is a family room on each floor. These rooms are reserved for two adults and two kids (less than appr. 14 years). We have three baby beds available. Please make a request for them when you reserve your room. Take note: We cannot move beds between rooms. The two rooms on the ground floor have each a one person bed. These rooms are accessible for people that cannot reach the rooms on the second and third floor. These rooms have a shower instead of a bath.